In my previous entry about Edgar Wright posting our swede on his blog, I meant to include a picture I took with Satya Bhabha, the actor who played Matthew Patel in Scott Pilgrim vs the World. 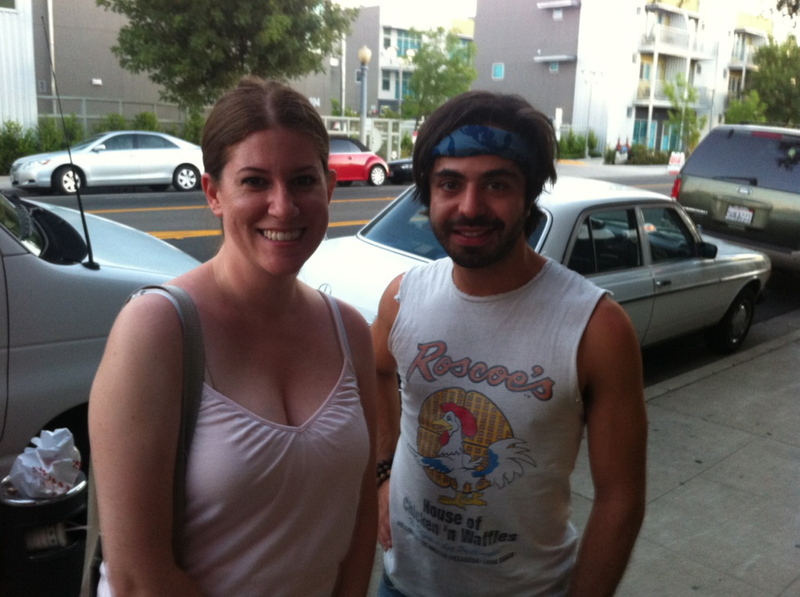 Here is Satya and I outside Fulton 55 when his band He’s My Brother She’s My Sister came to Fresno on June 25. He may have mystical powers, but I think I could squash this dude. I’m kind of late in posting this, but it’s still pretty cool, so what the heck. Last week, actor Satya Bhabha, who played Matthew Patel in Scott Pilgrim vs the World, came to Fresno with his band He’s My Brother She’s My Sister. A couple of us sent Satya via Twitter the link to the Scott Pilgrim swede we did for Swede Fest 7, and he retweeted it. About a half hour later, Edgar Wright, director of Scott Pilgrim, posted a link to the swede on his blog, Edgar Wright Here. Needless to say, what a tremendous and exciting surprise for those of us who made the swede, and for Swede Fest, which also got a shout-out in Wright’s blog post. Below is the swede, and here is the link to the blog post. Quid pro quo: If you haven’t yet seen Scott Pilgrim vs the World, I highly recommend it. It’s one of the more creative and fun movies to come out in recent memory. And while you’re at it, give Shaun of the Dead, Hot Fuzz and the amazing T.V. series “Spaced” a watch — all directed by Edgar Wright, and all fantastic.